Non-Caffeinated RuckPack Energizer 3oz Sports Nootropic Shot is ideal for endurance sport preparation or recovery. It also functions as a non-caffeinated energy boost and brain enhancer. Unlike the competition, this brain-enhancing blend consists of no caffeine, and only contains natural flavors, natural colors, and natural sweeteners. No Sucralose. RuckPack® was developed by Special Ops Marines to provide a single source of supplemental nutrition for troops in the battlefield. The evolution of RuckPackÂ® has lead to a line of performance fuels that keep the warrior in the fight, propel the most elite athletes to victory, and steer driven professionals toward success. Regardless of your daily battles, RuckPack will provide you with the fuel to fight, and the nutrition to win. RuckPack® products feature SmartMuscleTM Science. The concept is simple. It doesn’t matter if you are .03 seconds faster if you brain is not also responding .03 seconds faster. RuckPack offers a blend of safe and natural brain enhancing ingredients that work together to improve mood, motivation, energy, cognitive functioning, and coordination under fatigue. 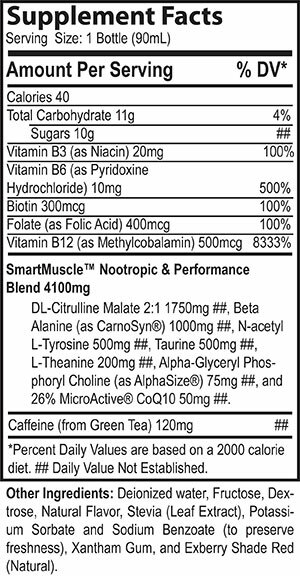 These ingredients consist of the amino acids Tyrosine, Taurine, and Theanine, and only the highest quality choline, Alpha GPC. Cholines are so safe they are given to babies to promote brain development. The choline Alpha GPC is so effective, it is even given to Alzheimer patients to improve memory and cognitive functioning. These brain enhancing ingredients are known as Nootropics. So train with your brain. Choose RuckPack’s® line of Energy and Sports Nootropics, and find out for yourself the benefits of focus in the face of fatigue. The Muscle Maintenance Blend is a blend of natural nutritional supplements geared toward energy, endurance and recovery. These ingredients help fuel muscles rapidly and efficiently by boosting muscle oxygenation and nutrient delivery. This blend also provides quality sources of fuel, aside from common simple sugars and complex carbs. RuckPackâ€™s Muscle Maintenance Blend also provides and promotes powerful antioxidant production for quality muscle maintenance. Prepare for your next mission by taking the world’s best performance fuels, and work on your recovery while you train! RuckPack was developed by Robert Dyer, an active duty Marine Corps Officer and other Special Ops Marines to provide a single source of supplemental nutrition for troops in the battlefield. Officer Dyer’s vision was to produce a power-packed vitamin & energy shot capable of delivering maximum performance, caffeine-free. RuckPack is now available to elite athletes, and other active people seeking a boost in energy, endurance, and overall health from natural sources. Packed with natural (clean!) energy and loaded with essential vitamins, RuckPack® delivers only what the body needs, and nothing more, in a delicious 2oz shot earning a BevNET 4 out of 5 stars. 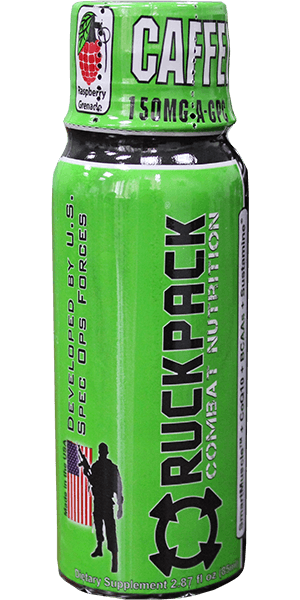 Frustrated by having to take up to twenty pills and capsules per day, Rob Dyer and his team of Special Ops Marines came up with the idea for RuckPack®–a single-source, power-packed vitamin & energy shot capable of delivering maximum performance, caffeine-free. Giving back is not an option. It is an obligation. We know what it means to sacrifice our time and freedoms for the benefit of this great nation and we’ve taken this same commitment to our country and applied it to our business: We will always give a minimum of 10% of our profits to not-for-profit organizations in an effort to build a stronger nation. That’s the RuckPack 10% Back Pact.